On Thanksgiving Day, 1944, Monsignor Joseph O. Clarkin, pastor of Mary, Star of the Sea, announced to parishioners that property at the northwest corner of Herschel Avenue and Kline Street had been purchased for the purpose of building a parish school. The tradition of the Easter Monday Ball began in 1946 as a means of raising funds for the building of the Mary, Star of the Sea Church parish school which was named Stella Maris Academy. The Easter Ball continued, with a brief hiatus, as a fund-raising tradition at SMA. That tradition continues (under a new name) to this day as the major fund-raiser for Stella Maris. On March 17, 1947, the Feast of St. Patrick, as a result of the successful fund-raising effort, ground was broken for Stella Maris Academy and in September of 1947, Stella Maris Academy opened its doors for the first time with an enrollment of 210 students in grades one through six, with four sisters of the Holy Cross Order serving on the faculty. 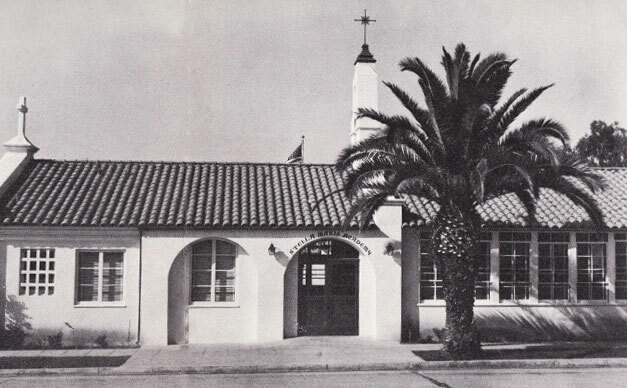 When it opened, Stella Maris was the only parochial school north of San Diego and south of Los Angeles. A seventh grade class was added in 1948 and an eighth grade followed in 1949. In June 1950, twenty-two eighth grade students graduated in the first graduation ceremony at Stella Maris Academy. It soon became apparent that the school’s facilities were inadequate to accommodate the demand for admissions. 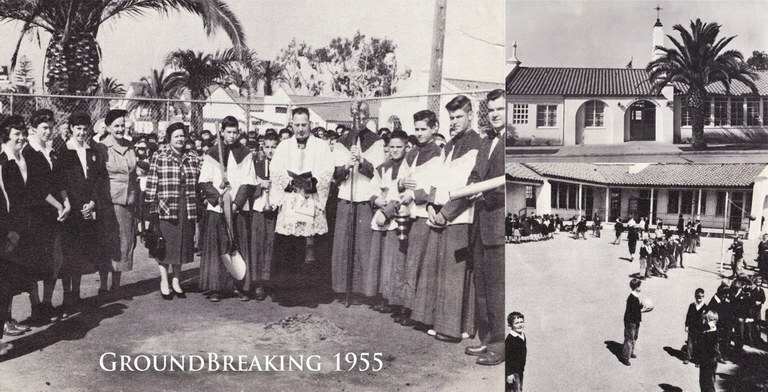 Accordingly, on St. Patrick’s Day, 1955 (the eighth anniversary of the SMA groundbreaking), ground was broken for the senior building and on December 18, 1955, the new, one-story school building, designed to accommodate 200 children, was blessed. In 1983, a second story was added to the school’s senior building. In 1992, the last nun from the Sisters of the Congregation of the Holy Cross left Stella Maris Academy and in 1998, Sister Mary Kiely, OSF joined SMA as its principal, the first religious to hold that post since 1982, and held that post for eight years. In 2006, Mrs. Patricia Lowell became principal of Stella Maris Academy.